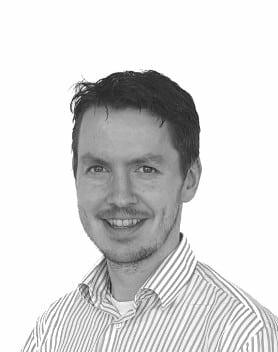 Dónal is a post-doctoral electrical engineering researcher working in MaREI, UCC and Lir. Dónal works in the area of marine and renewable energies from an electrical engineering perspective. Dónal is UCC’s current technical lead on the H2020 funded TAOIDE project, which aims to increase the performance and reliability of ocean energy devices through development of the electrical systems. Dónal also works with and provides support for testing with the electrical infrastructure in Lir including the advanced microgrid system as well as the rotary and linear machine test rigs: Conn, Aodh, Fionnuala and Fiachra. Dónal graduated with Bachelors of Electrical and Electronic Engineering (BEEE), before completing a PhD in the Power Electronics Research Laboratory (PERL) in UCC in 2013, on the topic of energy storage systems for wave energy converters and microgrids. Dónal then worked in PERL on the development of an advanced high speed motor and drive test rig with the support of the United Technologies Research Centre, before beginning work in the HMRC in 2014 which has since become a part of MaREI. Dónal previously worked on the SeaGrid project, the Sea Station project for the SmartBay test site in Galway Bay, as well as updating and enhancing the Lir microgrid system. He was the chief designer of the lesson plans for the “Engineering in a Box” primary school programme with Steam Education Ltd, and has supervised numerous students and interns, from final year projects to masters students. Further information can be found on Dónal’s online profiles.